Solo Exhibition Eli Klein Gallery, New York City, U.S.A.
Eli Klein Gallery is pleased to present a solo exhibition of work by Shanghai-based artist Shen Fan, a pioneering figure of abstract painting in China. A leading Chinese artist whose career spans nearly 40 years, Shen is an artist who defies being categorized into a certain style or school. The upcoming exhibition will survey a wide range of his works and examine his own unique takes on Chinese abstraction. Titled, Shen Fan: Works in Abstraction 1992 – 2017, the exhibition includes a range of works that illustrate Shen’s ability to combine Western expressionism with Eastern philosophy and traditional Chinese art practices, to pave a unique path for contemporary Chinese abstraction. Contemporary art in China was mostly dominated by Social Realism until it experienced a profound shift in 1978 with Deng Xiaoping’s establishment of a new Open Door policy for the country. With the sudden availability of Western art publications, many artists began to adopt the Western style as a new mode of creating art, yet Shen rooted his work in Eastern philosophy in his pursuit of modernity. Whereas Western Abstract Expressionism is often associated with action painting and direct, energetic brushstrokes, Shen, in his 1992 and 1993 oil on paper works, indirectly imprints oil through the gesture of rubbing—a technique that has been practiced in China for thousands of years—symbolizing Confucian values of order and moderation and other Eastern philosophical principles. A fully illustrated digital catalog with an essay by Will Fenstermaker, Editor at The Metropolitan Museum of Art and Associate Editor of The Brooklyn Rail, accompanies this exhibition. Born in 1952 in Shanghai, China, Shen Fan graduated from the Fine Arts Department of the Shanghai Light Industry Institute. His work has been exhibited in museum shows around the world including solo exhibitions: The Collection, Shen Fan Solo show, The Collection Studio, Lincoln, UK (2008); Ceramics Work of Shen Fan, European Ceramics Work Center, S'-Hentogenbosch, The Netherlands (1998); Un/Limited Space, #1 Shen Fan, Consulate General of Germany, Shanghai, China (1997); Shen Fan, Consulate General of France, Shanghai, China (1997); and Shen Fan's Works on Paper, Shanghai Art Museum, Shanghai, China (1988). His work has been part of group shows including Myth/History II: Shanghai Galaxy, Yuz Museum, Shanghai, China (2015); China 8, Contemporary Art from China at the Rhine and Ruhr, Lehmbruck Museum, Duisburg, Germany (2015); A Fragment in the Course of Time, Landscape of Chinese Ink Art in 1980s, Himalayas Art Museum, Shanghai, China (2014); In Time - 2012 Chinese Oil Painting Biennale, National Art Museum of China, Beijing, China (2012); Shanghai, Asian Art Museum, San Francisco, USA (2010); The 1st International NanoArt Exhibition, Science and Culture Arts Center, Suzhou, China (2010); Shanghai Kaleidoscope, Royal Ontario Museum, Toronto, Canada (2008); Beyond Dimensional Space, Duolun Museum of Modern Art, Shanghai, China (2004); New Voices: Contemporary Art Dialogue Among, Liu Haisu Art Museum, Shanghai, China; Hong Kong Art Center, Hong Kong, China; National Taiwan Art Education Institute, Taipei, Taiwan (1998); Quotation Marks, Chinese Contemporary Paintings, National Art Museum, Singapore (1997); China! Touring Exhibition of Modern Art, Artist's House, Vienna, Austria; Charlottenburg Exhibition Centre, Copenhagen, Denmark; Zacheta Modern Art Mudrum, Warsaw, Poland (1997); and China! Touring Exhibition, Kunstmuseum Bonn, Germany (1996). Shen Fan’s works have been collected by major museums including: The National Art Museum of China; Shanghai Art Museum; M+ Museum, among others. 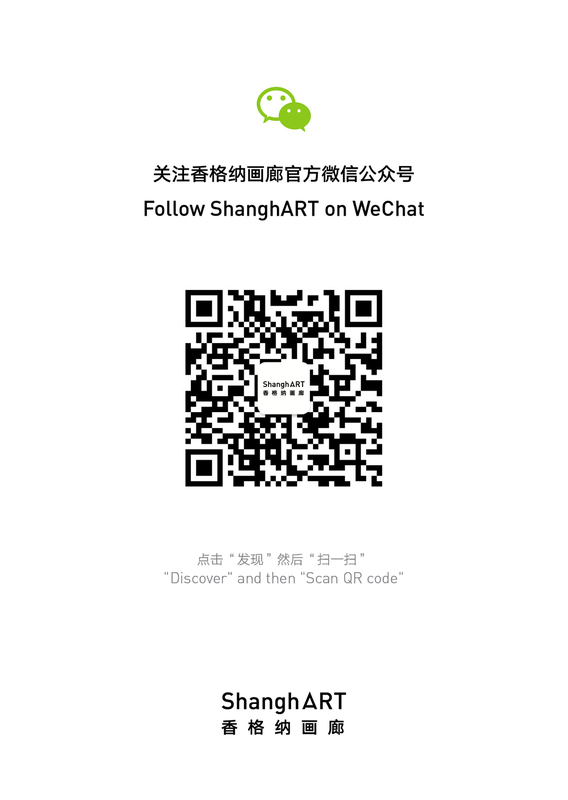 Shen Fan currently lives and works in Shanghai, China.